Mount Charles launch Vending initiative! Here at Mount Charles, we recently launched a vending initiative to Win an iPad in co-operation with our client Translink. 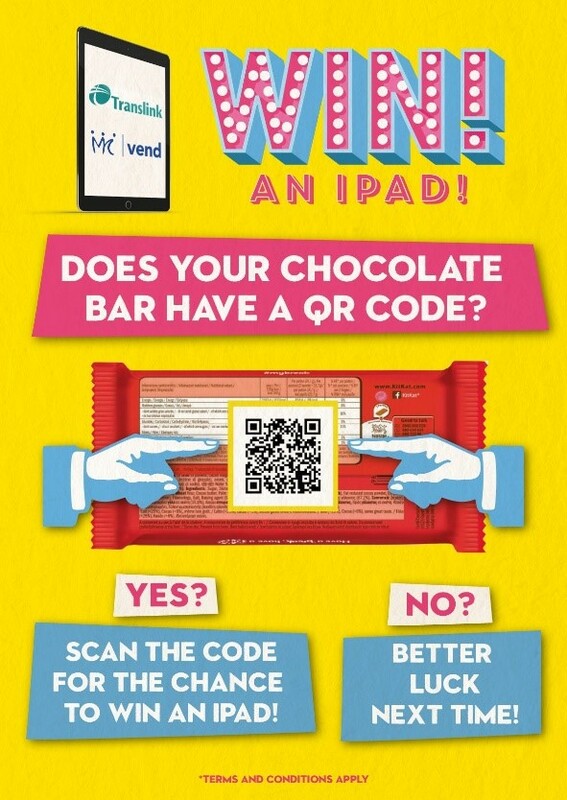 We placed 500 QR code stickers on confectionery items within machines across a number of our client’s sites. In order for customers to be in with a chance of winning, they must first purchase an item within the machine and following that scan the code via their phone. Our aim at Mount Charles is to continually engage with our clients and their customers through innovation and show them we appreciate their support. We will be selecting a winner at random from the list of entries we have received. Chris Annon, our Group Logistics and Vending Development Manager, will then be awarding the lucky winner an I-Pad on behalf of Mount Charles Group.